إن فندق Byron Lakeside Holiday Apartments بموقعه الممتاز في تاون سنتر هو نقطة انطلاق جيدة لنزهاتك في خليج بريون. يمكن من هنا للضيوف الاستمتاع بسهولة الوصول إلى كل ما تقدمه هذه المدينة النابضة بالحياة. سوف يعشق النزلاء موقع هذا الفندق، فهو قريب من أهم المعالم السياحية في المدينة كمثل بلاك دوج سارفنج, ‪All The Sales‬, امباج . كما يقدم Byron Lakeside Holiday Apartments الكثير من الخدمات لإغناء رحلتك في خليج بريون. يمكن الاستمتاع بمجموعة من الخدمات على أعلى المستويات في الفندق كمثل واي فاي مجاني في جميع الغرف, مطبخ, تخزين الأمتعة, واي فاي في المناطق العامة, صف السيارات. تتضمن كل غرف النزلاء وسائل الراحة والتسلية المصممة خصيصاً لضمان الراحة القصوى للضيوف. يقدم الفندق مجموعة رائعة من الخدمات كمثل مسار جولف - ضمن 3 كم, حمام سباحة خارجي, حديقة، لجعل إقامتك تجربة لا تنسى. إن Byron Lakeside Holiday Apartments هو خيارك لخدمة الفنادق الراقية في خليج بريون. Staff was nice, requested for late check out. Room was perfect and we had a lovely stay. Thank you for your review of our property Josie & we look forward to welcoming you back again soon. We enjoyed our stay, the accommodation is in the quiet end of Byron which at Christmas time is what you need as Byron is a thriving with activity. We would stay here again. Big space, very clean and comfortable. Very friendly, super helpful staff. Good, clean, well maintained townhouse. Pleasant location away from the busy downtown, with easy access by car. Easy walk to nearby beach. All the necessary facilities for self-catering. Recommended! We had a wonderful weekend stay at the Byron Lakeside! The price was exceptional value. Our apartment was very large, clean and comfortable. The pool area and lake were beautiful and clean. We managed to check in and check out without meeting any staff, so I can't comment on them, but to say it was all easy. I'd be delighted to stay here again. Thank you so much for your review Jayne, we hope you can holiday with us again soon! Enjoyed our stay, very helpful staff. Lovely townhouse with everything you need. Shame the air conditioning broke down 2 days into our stay. Very hot in bedrooms upstairs, heat rises. We arrived very late, reception was more than accommodating, they gave excellent written directions to the apartment and after hours access. The next day we stopped by reception to let them know we made it, very friendly. It appears each apartment is individually owned, it is likely they will all differ and you wont know until you check in. There are permanent residents in areas of the complex. The one we stayed in was a little outdated. Old horrid "hotel style" wall mounted hair dryer that took a long time to use. While using it I thought the entire device would come off the wall. Couch in the lounge was old and creaky (doubled up as a sofa bed). Bed in the bedroom was nice, but the doona cover was a little oldish - just a plain sheet placed over the old doona. Facilities in the kitchen looked new and the apartment was getting an upgrade with new tiles in the lounge and kitchen. For low season I did think we overpaid for what it was. I think I will try to source another property in the area. Everything you need for a few nights stay, and a lovely lake area complete with wildlife. I went to Byron Bay and stayed here for a holiday over the weekend. The sheets never got changed and it wasn't cleaned during our stay. There was Wi-Fi but it was incredibly slow to the point that we didn't bother with it. It was advertised to have cable TV but this was not true in our room. All in all it was a lovely modern apartment and good facilities with a kitchen as well as the laundry but these little things need to be fixed. Nice appartment, has all that you need. Nice pool/ BBQ area, although pool is to heated by anything but the sun. nice place for a few days getaway out of the hustle of town and only just walking distance. Really enjoyed our second stay at Byron Lakeside. Pleased with our upstairs one-bedroom apartment.....very clean and roomy. 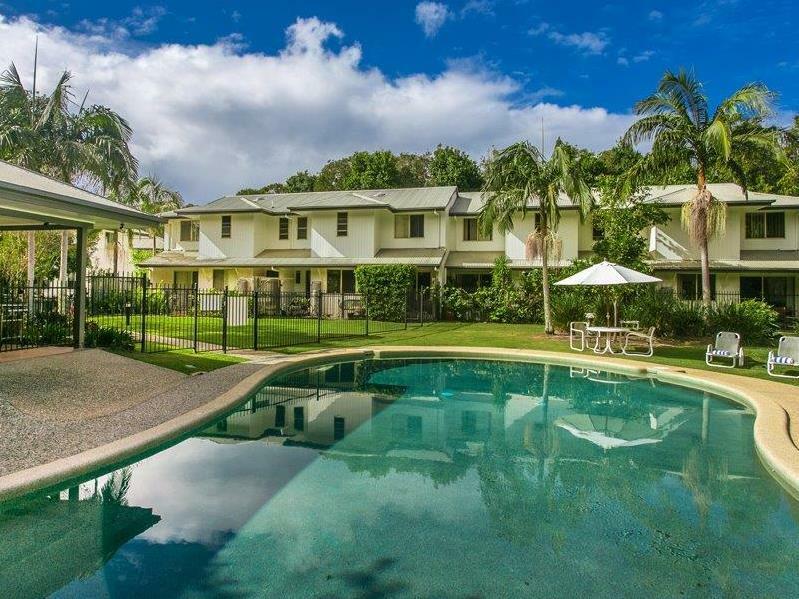 The pool and surrounds is lovely and provides plenty of room for families. The complex is kept neat and tidy and presents well. Staff are very accommodating and friendly. Will definitely be staying at the Byron Lakeside again. Spacious, Friendly staff, great location. Enjoyed our 3 night stay at Byron Lakeside. Friendly check-in and roomy apartment with full facilities. Quiet resort accommodation and lovely pool area. Close enough to Byron but far enough out to escape the noise and crowds. Clean and comfort with a nice cafe next door. It was a nice place to stay. I would stay there again.